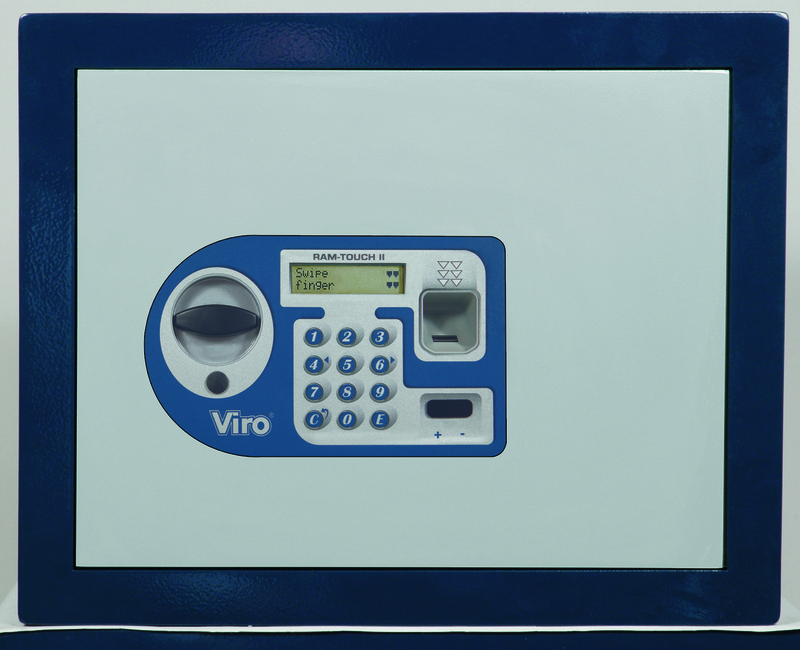 After talking about the 5 mistakes to avoid when installing a safe, we now want to present the development of biometric technology applied to the Viro safes and security cabinets. We will see the advanced features which make Ram Touch II the most innovative of the biometric safes for home or office use. The first feature which distinguishes the Ram Touch II range is the new capacitive keypad, that is to say, it is devoid of physical buttons; what appears is merely a graphic display, below which a touch system is active. This technology, which we are used to in other cutting-edge sectors, such as telephony, completely eliminates the risk of wear of the keys due to intense use. This capacitive keypad and the integrated fingerprint reader (in this way everything is flush with the door, and therefore, if desired, the safe can be easily hidden behind a picture or a piece of furniture) allow the safe to the used either with numeric codes or with fingerprints. Biometric opening is performed simply by swiping your finger over the reader, so that your digital fingerprint (previously recorded) is recognised and allows access. In this case the advantage is that of not having to deal either with keys or codes, as well as the fact that the fingerprint reading, thanks to the technology used, which does not photograph the fingerprints but detects the details (i.e. the distances between the lines of the fingertips, and their bifurcations and depths, present on each finger of each hand, which are always different on all the fingers) takes place extremely quickly and reliably, even if there are small cuts or abrasions on the fingers. What if several people want to use the safe independently? 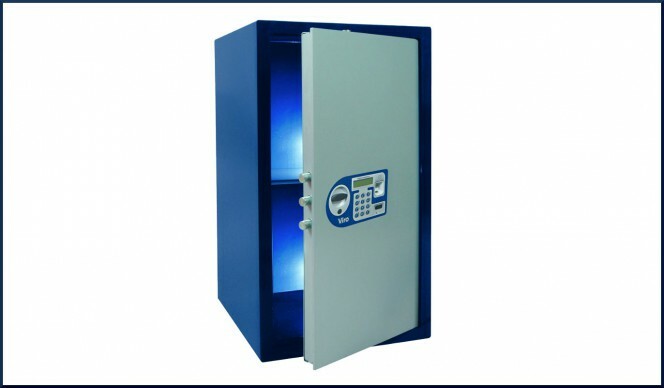 Ram Touch II safes and security cabinets recognise and store up to 16 fingerprints (and also 16 numerical codes). So it is not a problem if you have a large family or many office colleagues! Also, the last 60 operations are always recorded in the memory, so the person who accesses it last can check who and when it was used previously, or when access was attempted, as well as all the other menu operations which were performed. Nowadays the touch system has become part of our everyday lives thanks to smartphones, tablets etc. 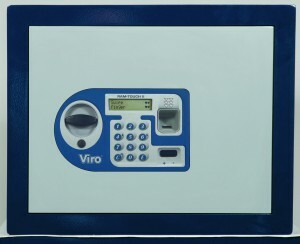 Viro Ram Touch II is the first Italian range of safes and security cabinets equipped with a capacitive keypad which, combining ease of use and innovative features, offer the right balance between technology and mechanical protection. In the next blog we will look at other advanced functions of Viro Ram Touch II. This entry was posted in Safes and tagged products, technology, tips on 26 April 2016 by calessandrini.